Amal Alamuddin may have recently come into our lives due to her recent nuptials to Hollywood “It Man”, George Clooney, however she has been making buzz for some time now. Here Are the Top 5 Reasons We Love Amal Alamuddin! 1. Alamuddin is a genius! 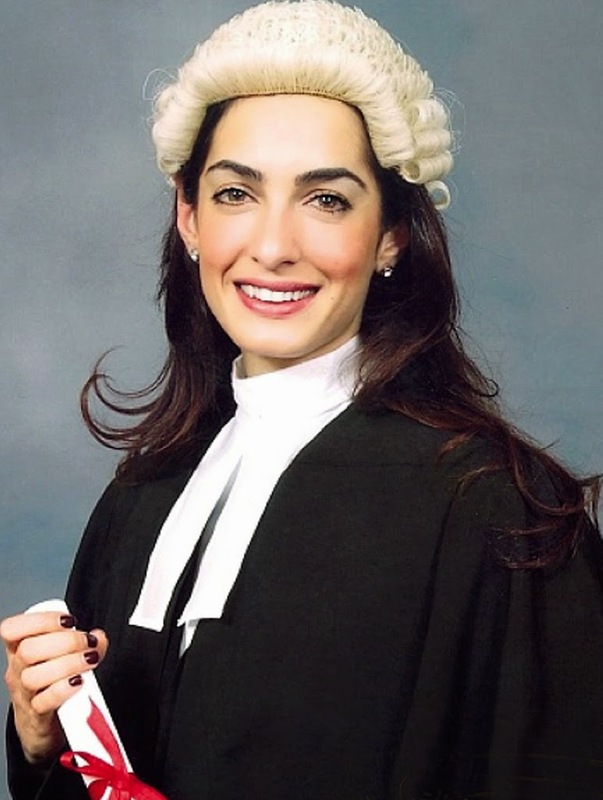 Amal is a graduate of both Oxford University and New York University School of Law. Today Amal is a humanitarian lawyer and is an advisor for the United Nations. 2. Amal works on pretty cool legal proceedings - As a successful lawyer, Amal has represented WikiLeaks founder Julian Assange when he was being extradited to Sweden. 3. Amal is a stunner. Not only is Amal armed with the brains needed to take over the legal world, she is also a brunette beauty that always looks effortlessly classy. 5. Amal was able to snap Hollywood’s self-proclaimed bachelor and marry him in less than a year! Stories even claim that George had been chasing Amal after she initially rejected his advances. Well done Amal, you were able to get a man that literally said he “would never marry again” to put a ring on it! Thanks for reading! I hope you enjoyed this post! Feel free to leave a comment and don't forget to Follow my blog with Bloglovin!